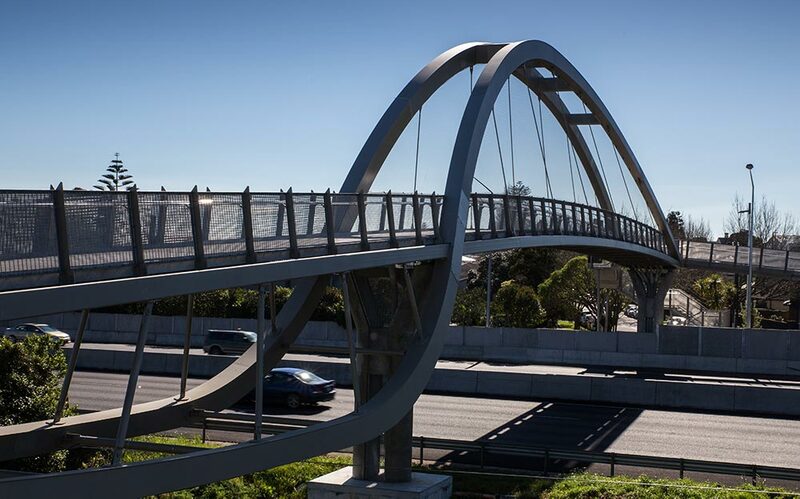 Due to its non-compliance with current disabled access standards, and its risk of bridge strikes from the flow through traffic below, the footbridge known as Dilworth Bridge at Newmarket in Auckland New Zealand was set for a major upgrade to bring it up to standard and increase its height. The replacement bridge was a unique investment for the area, which was designed and constructed by an alliance of companies to be assembled on ground, and then lifted into place to clear span 43 meters over the roadway without a central support. 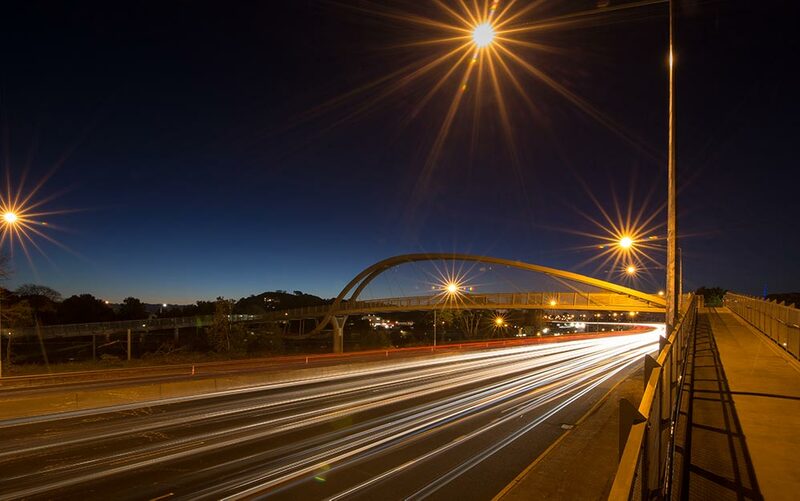 With an increased road clearance of 6.2m, it was considered critical to the design for the new bridge to incorporate an anti-throw and fall protection barrier to better protect the undercarriage traffic from potential projectiles or fallen objects from the new bridge. 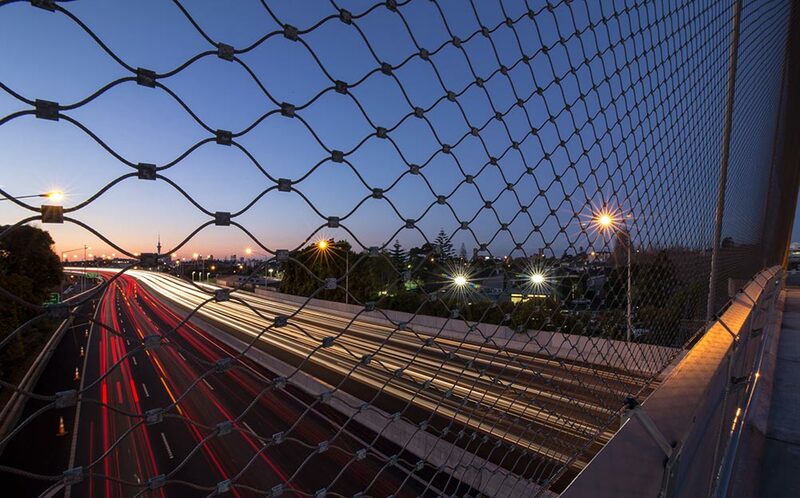 This presented the perfect opportunity for Ronstan to install X-TEND mesh, presenting a transparent and non-invasive wire mesh solution that would provide the adequate protection without disrupting the design intent. The jobs specification uses our Carl Stahl X-Tend in 40mm aperture diamonds with 1.5mm wire (CXE0150040) and stainless steel ferrules (joiners at each diamond intersection). 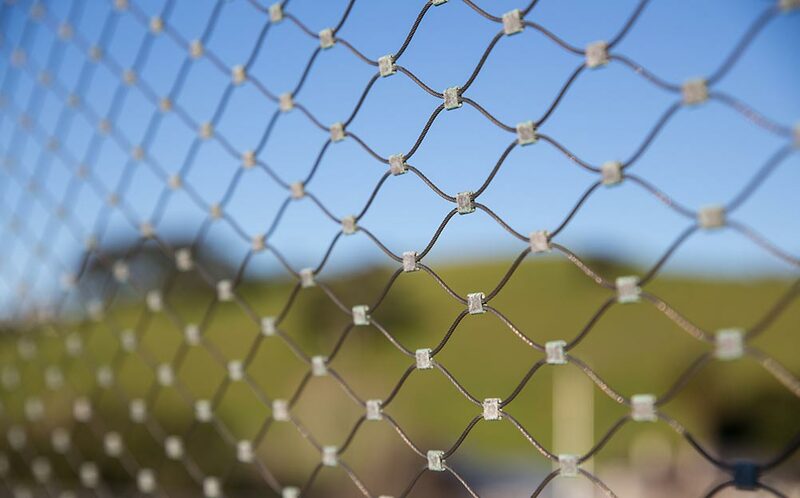 The mesh connects to Ronstan ACS2 stainless steel 8mm cables which form the full border of the mesh and affix directly through steel cleats on the bridge steelwork. This infill design required quite a lot of design and planning to make sure that the wire mesh infill stayed taut during the install and during the lift as the bridge was subject to construction deflection between its resting state and lifted/installed state. 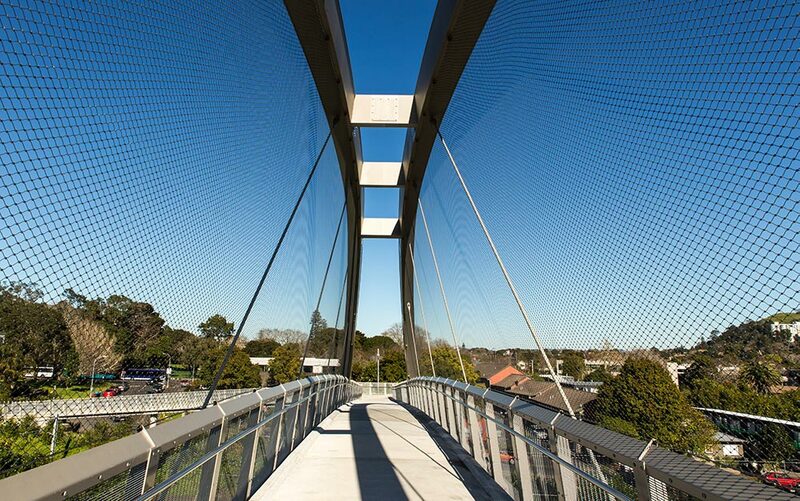 There are 3 mesh joins on each face of the structure, time taken before install to invisibly join the wire mesh panels resulted in the outcome which is an impressive seamless safety addition to the bridge.